Kristin Schoonover grew up in Long Island. She attended Alfred University in western New York. 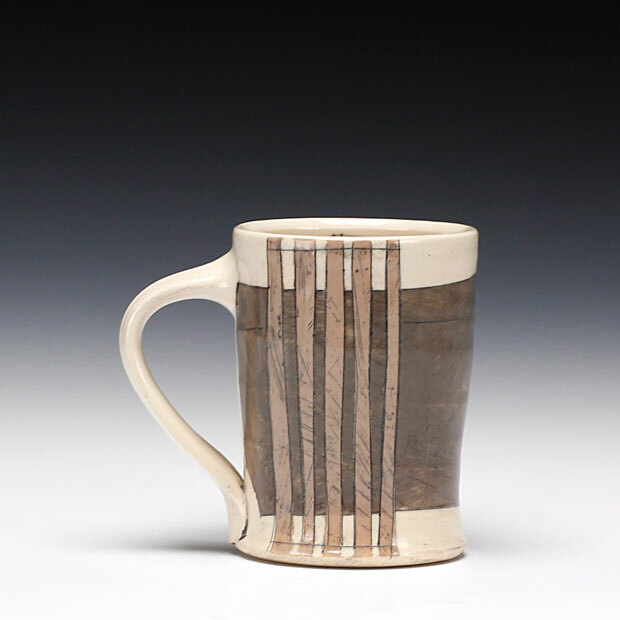 During her four years of college, she worked with glass and clay. She received her BFA in 2001 with a focus on slip-casted, porcelain sculpture. After graduation, she moved to Bozeman, Montana. While in Montana, she worked along side Beth Kennedy in her home studio. After the snow arrived, she decided to try Asheville, North Carolina. Asheville has been a great place to grow as a ceramic artist. Soon after arriving, she became part of the River District Artists. A little while later, she was accepted into the Southern Highland Crafts Guild. She is now living and working in Asheville. Having a creative upbringing shaped my personal style. Beginning in highA school I worked with my mother, a very talented decorative painter. The beautiful techniques and color palettes have strongly influenced my pottery. Her painting involves many bold, but simple patterns. The uncomplicated designs become dynamic when they transform a white room into a work of art. A new piece of clay is like a white room. It needs color, texture and shape to make it distinct and interesting. I strive to create a primarily functional, attractive object. 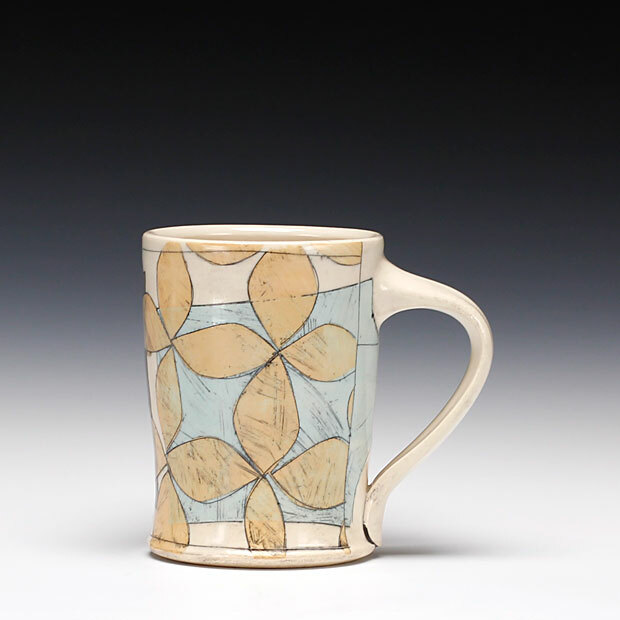 I try to bridge the gap between traditional and contemporary ceramics with the colors and designs. The repetitive patterns and color combinations are not at all unique. The textured surface, coupled with my thrown and altered forms, create a new, modern piece of pottery.